After last weeks post on harvesting some of your gardens gifts, I noticed that on various social media platforms many other Sydney Florists had been having the same idea. Throughout this last week, keen gardeners have been busy bottling up their garden in preparation for the months ahead. And really, it is the perfect time to do so, before the cold weather really starts! Winter often brings on the undeniable desire for comfort eating, so following on from last week, we have a couple more treats for you to create from your flourishing garden that should hit the spot. Citrus should be in full swing now, so it makes it the ideal time to preserve lemons which you can utilise in a variety of sweet and savoury recipes, AND a gorgeous lemon curd; an excuse to make a delicious tart or a pie for dessert! YUM. 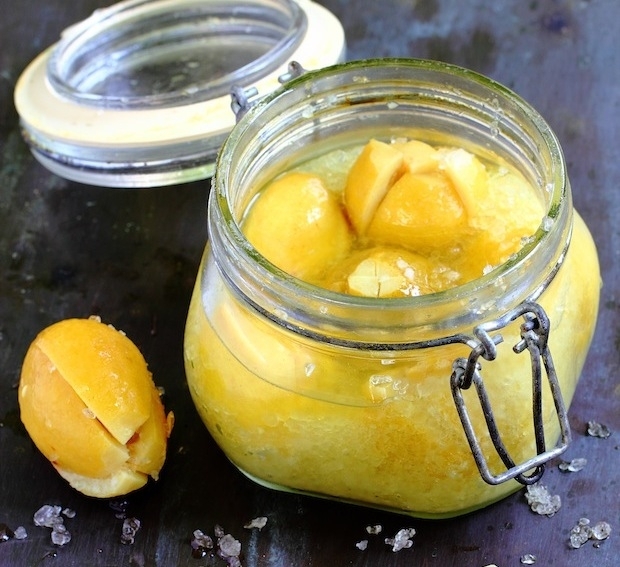 Preserving lemons is a pretty straight forward process, but to speed up the maturing process and to soften the rind, Taste suggests freezing the lemons first, letting them thaw overnight before preparing them with the salt. You might also like to add 1 cinnamon sticks and/or 3 cloves for a twist on the traditional. Alternatively you can use bay leaves between each layer of lemons. You must work into sterilised jars to ensure that mould does not spoil your efforts. Ensure that you clean the lemons sufficiently so that no dirt or dust remains on the exterior. Cut the lemons in quarters but not all the way down. 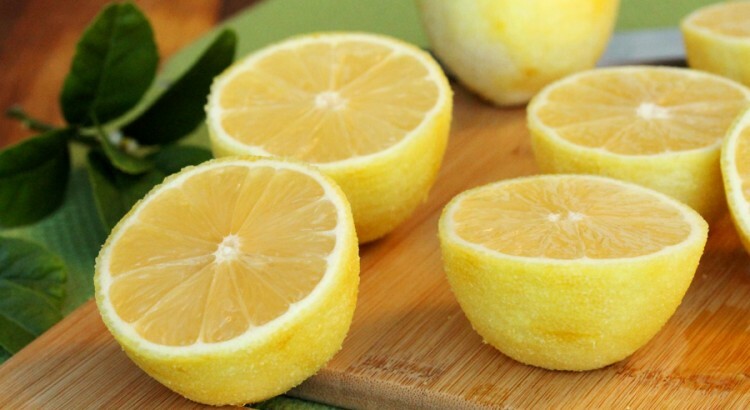 Fill each lemon with as much salt as possible. The salt draws out the juice from the lemon, softening the rind. Pack the lemons into the jar and top the jar with the remaining salt. Pour the lemon juice over the lemons so that they are all covered. The jar should be stored in a cool spot, away from direct sunlight for at least 4 weeks. As the lemons settle you may find you need to add extra juice to ensure the lemons remain covered. 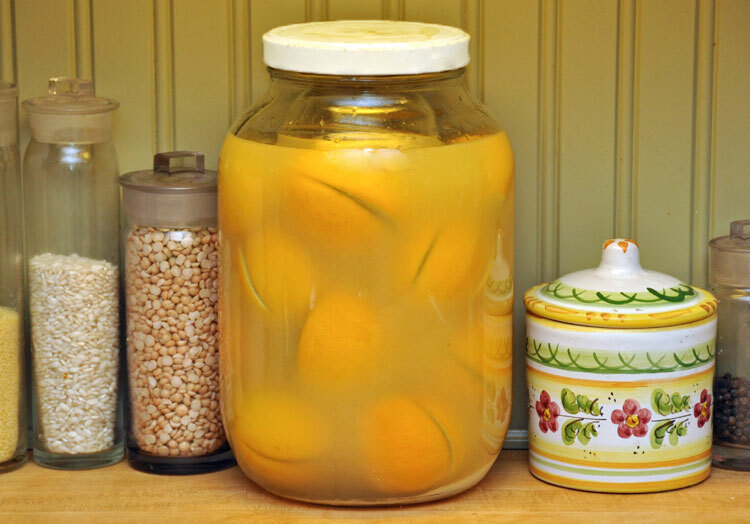 When you are ready to use your lemons, remove the pieces required from the jar and wash under cool running water. Use a sharp knife to remove the flesh, and pith from the rind. Discard both the flesh and pith. Finely slice/dice the rind to use. 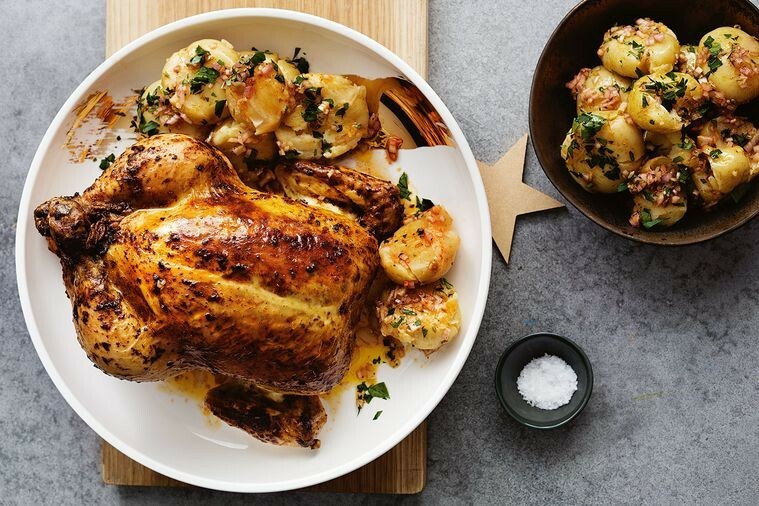 Preserved lemon is a great addition Middle Eastern inspired meals and salads, it works brilliantly with roasted chicken, and it is fabulous to utilise in desserts. This little gift from the garden project will certainly be worthy of the time you invest. 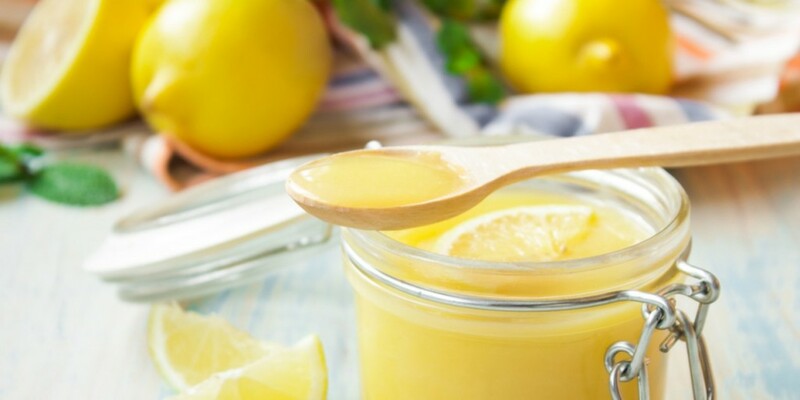 Curd is a dessert spread/topping/filling, that can be made from pretty much any fruit however generally citrus fruit is used. We have included a recipe using lemon, but you could just as easily use lime, mandarin or orange depending on what you have growing at home, as well as passion fruits, or berries. 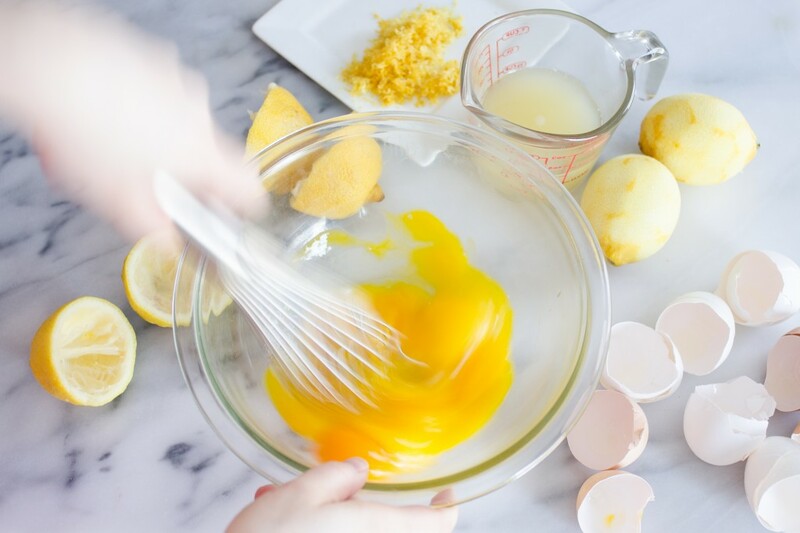 Whisk the whole eggs, egg yolks and caster sugar in a pan until smooth, then turn to a low heat. Add the butter, juice and zest and whisk continuously until thickened. Strain through a sieve.Curd usually keeps in the refrigerator for approximately two weeks. Warm up the curd to add to pancakes, or as part of a sweet crepe filling, use it to top your cheesecake, a filling for a tart or just spread it on buttermilk scones. I think it is optimistic to think that it may keep for around two weeks…. Oh, and remember as the weather cools down, fresh flowers generally have a longer vase life. It makes it a great time to treat yourself or someone special. You can find great gift ideas on our website that can be delivered throughout Sydney, or pop in store to see what delights we have on offer! There’s nothing better than a thriving garden. For some it is not something that is easy to achieve and certainly many people struggle with keeping things alive, let alone thriving. There are plants that are easier than others to get going, and once you get it right, you can hit a sweet spot that sees things growing so well, that sometimes they stretch well over and above their peers, and start taking on more and more of the real estate within the garden. When that happens in the herb garden (as it is for me right now) you have to get creative, and start to work out a way to use what you have immediately, or ways in which you can store them for use later. 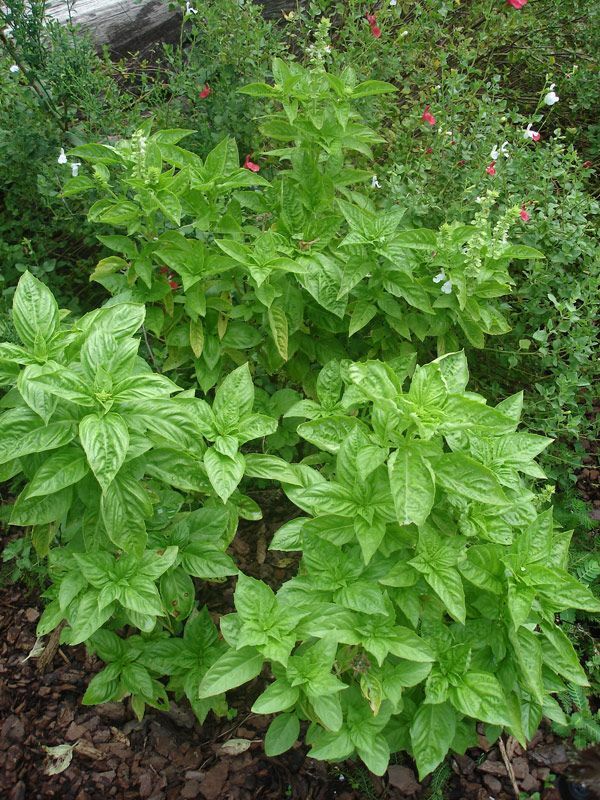 The basil plants are now getting so big that they end up growing horizontal from the weight- I just cannot keep up with the growth, and let’s be realistic- adding a few basil leaves to your pasta sauce just ain’t going to cut it if you are attempting to use what you grow without wastage. So today, I’m sharing a couple of my favourite recipe ideas for you to enjoy, if or when your herb garden is flourishing. Ahhh, nothing like an alcoholic beverage tarted up with tropical fruits and herbs to make you feel like you have escaped the rat race and are away on holidays somewhere luxurious. This recipe might be a little softer on the alcohol than if you were to order it at a bar, but the focus is instead on the fresh herb flavour. If you like it stronger hold back on the soda. Start by placing the lime wedges in the bottom of the glass along with the sugar- muddle them together so that the juices are released from the lime. 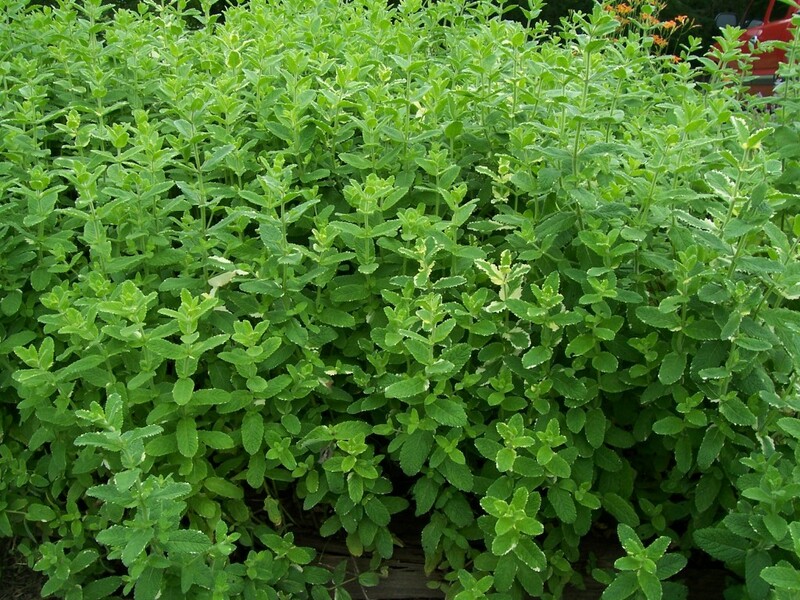 Place the mint leaves in your hands and ‘clap’- the bruising will release the oils from the leaves, along with the flavour. Throw these in the glass along with the rum, then top the glass up with soda, lychees, and ice. If you like your drink sweeter, you can add a little of the lychee juice from the can. This drink is equally enjoyable sans alcohol; in fact it has been quite a few years since I have added alcohol to it with three littlies around. 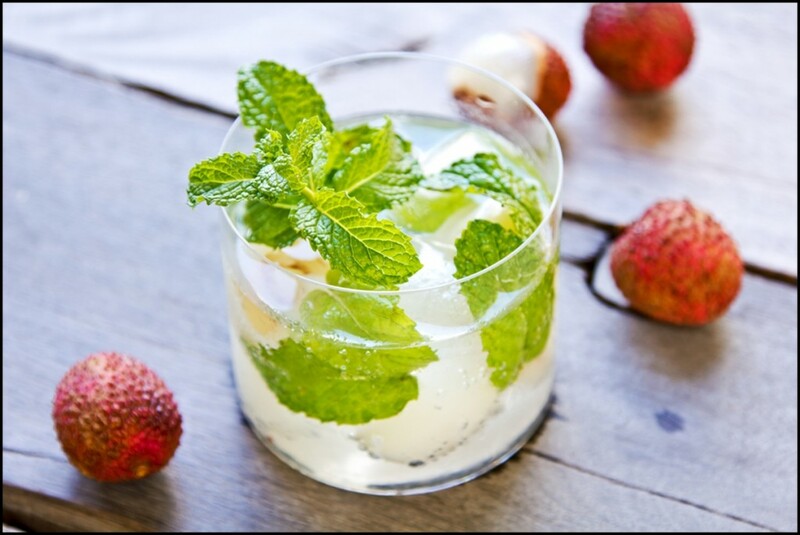 It is so fresh and tasty and certainly makes a tasty drink to enjoy at the end of the day or at a party without feeling it the next day. Basil grows thick….and quick. It is hard to keep up when it is thriving, but then again, for many months throughout the year it doesn’t grow well at all. 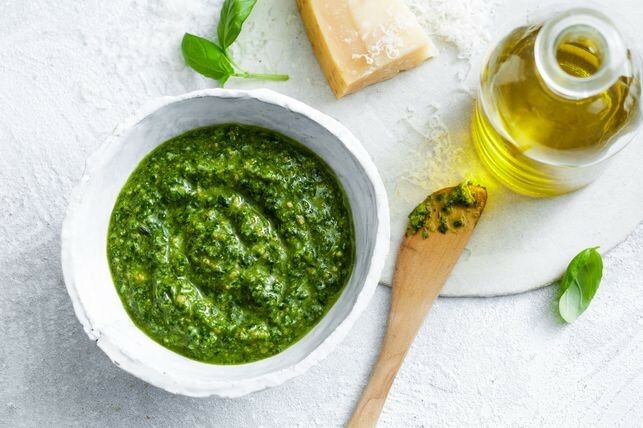 By harvesting your crop and turning it into delicious pesto, you can enjoy pastas, salads and more anytime! Plus, it freezes well so you can half your batch and putting it in ice cubes for quick defrosting! 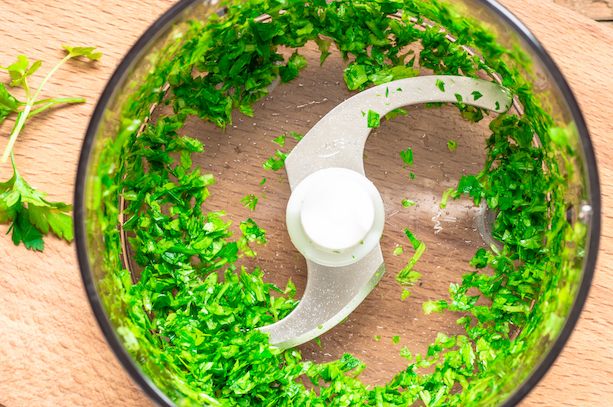 Pesto is super easy- you basically just pop it all in the food processor and hit GO! You can add slightly more or less olive oil depending on how ‘lose’ you like it. If you have any plants that are growing particularly well and you need some help with recipe ideas to use the excess, drop us a line in the comments section or via our Facebook page.